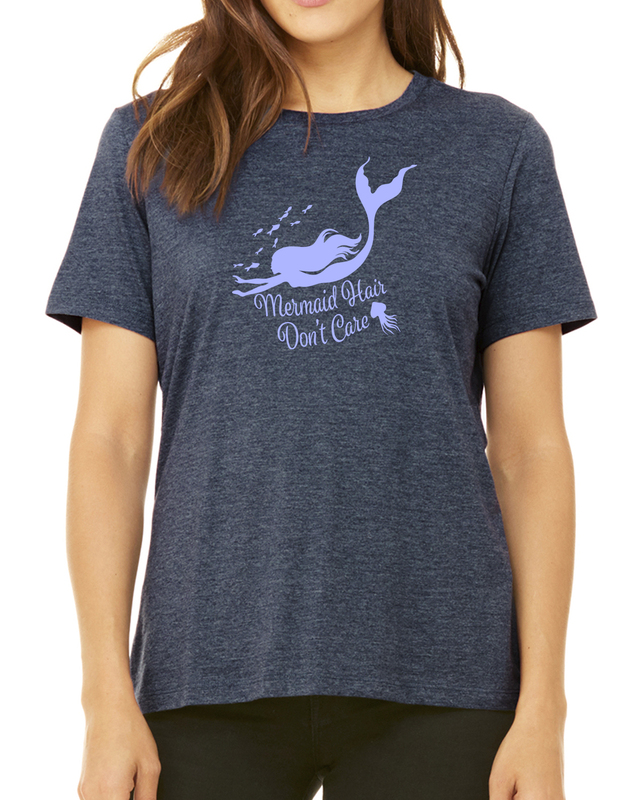 Our women's Mermaid Hair, Don't Care scuba diver tee is 4.2 oz Pre-Shrunk, 100% Combed Cotton Jersey with a 1x1 baby rib. 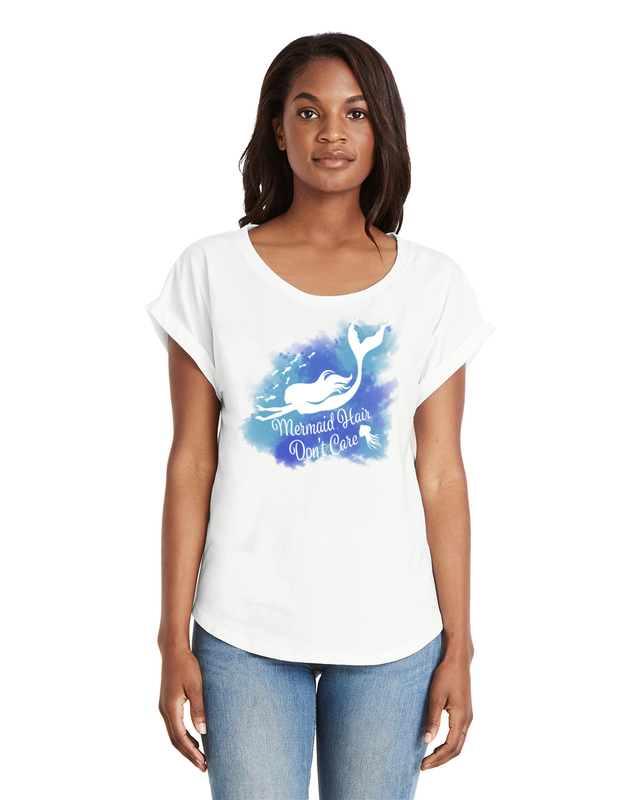 This relaxed fit jersey t-shirt is both comfortable and flattering, designed to hug your curves. 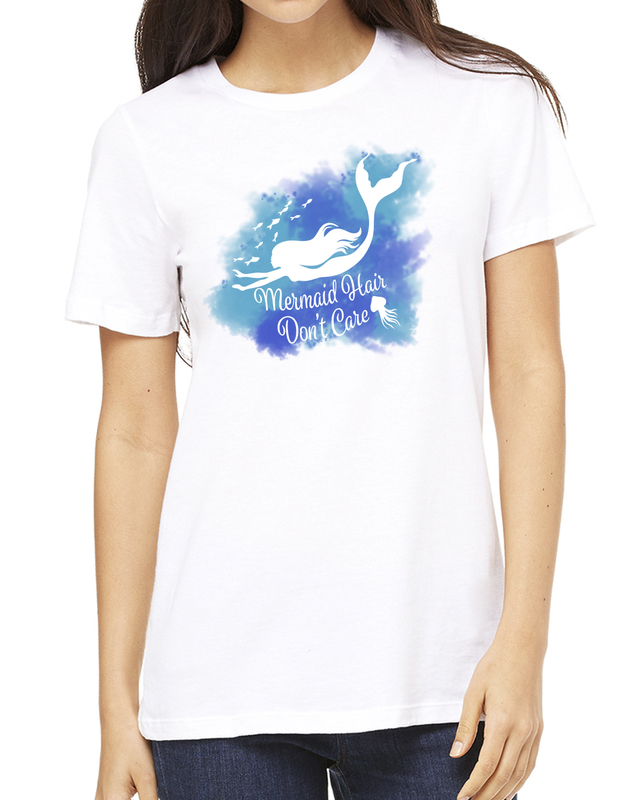 Wear it alone or layered – this shirt is so soft, you won't want to take it off! 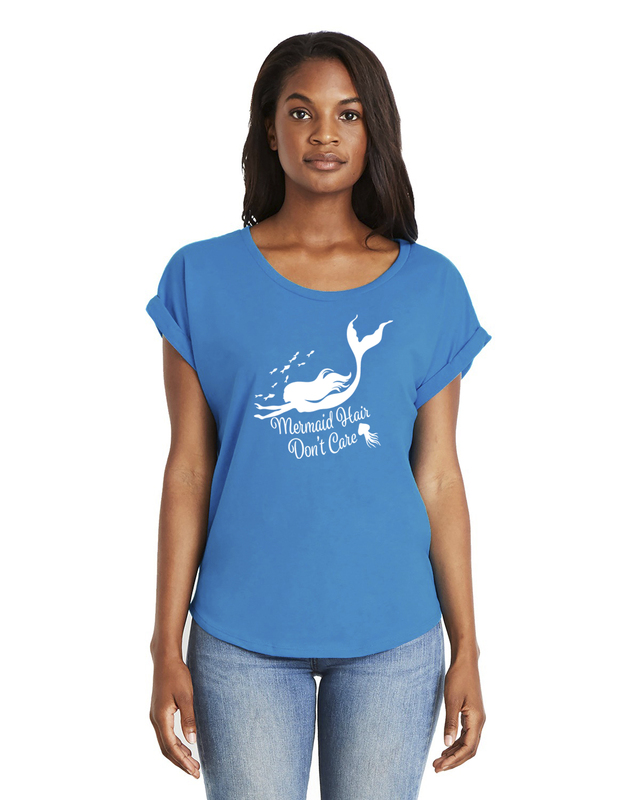 A fun shirt for women (or Mermaids) who scuba dive! 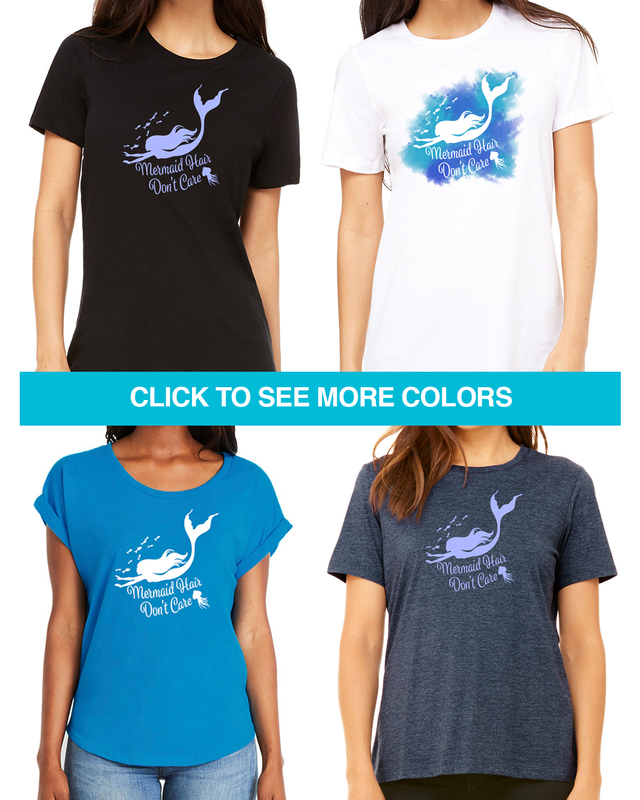 Please size up at least 1-2 sizes. 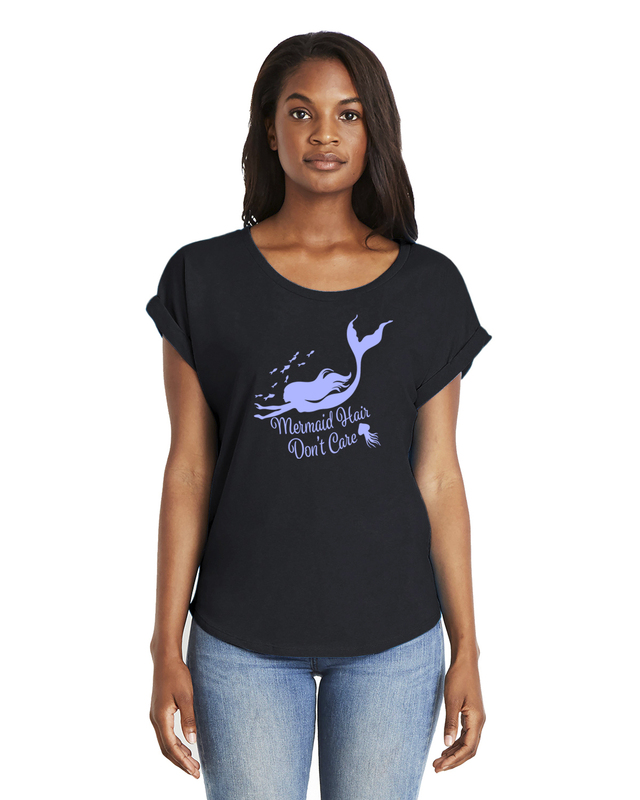 The new Dolman sleeve shirts are cut more true to size.